Having a rich app ecosystem is a mandatory prerequisite behind the success of any platform. Besides exclusive first party titles, the presence of third party apps is pivotal to boost the acceptance score of the operating system and/or the platform. Take the example of (now abandoned) Windows Phone/Windows 10 Mobile – lack of apps for the OS was the ultimate deal breaker. Joe Belfiore, corporate VP of Microsoft, publicly admitted the same. There is another side of the story. If the platform has no shortage of apps and third party services, the platform owner can generate revenue by delivering them solely via an official store and charge for the action. Sounds familiar? Apple does exactly this. The whole jailbreaking saga started to break free from these restrictions. In case of Android, Google took a different approach. The official store aka Google Play is there, but Google does allow sideloading of individual apps. Matter of fact, third party app stores exist as well. Phone makers are allowed add their own app store (for example, Galaxy Store by Samsung) inside their in-house Android skin. Moreover, they can bundle certain apps out of the box. Here comes another topic of controversy – the bundled apps! The definition of usefulness of these pre-installed apps varies from person to person. A section of consumers find them intriguing, while the other consider them as bloats. Commonly referred as ‘bloatware’, the bundled apps are often part of the system and thus can not uninstalled normally by end users. Some OEM skins even prevent you to switch to an alternative in favor of the pre-installed app. Unfortunately Samsung Galaxy S10 is not an exception. The South Korean smartphone maker decided to bundle tons of apps inside the firmware of their flagship phone. 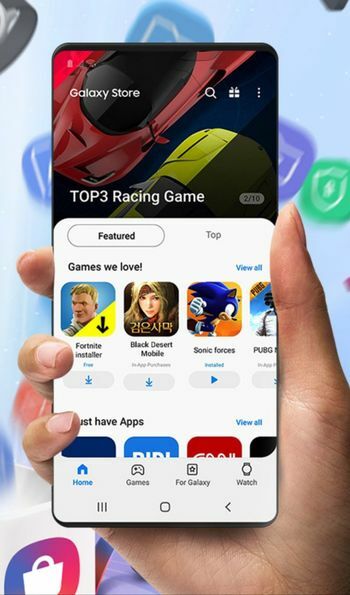 Majority of the bundled apps inside S10 are part of the Samsung ecosystem, although third party apps like Facebook can also be found there. Some of them can be disabled from the Settings, but not all. Rooting and then purging them from system is not a feasible option, as it would eventually trip the Knox counter and void the warranty of the phone. Moreover, the rooting scene of Galaxy S10 is little bit convoluted at this moment. Luckily, there is another nifty solution. It is possible to disable/uninstall most of the apps from the primary user account (i.e. the one you are using) using the internal package manager of Android. To use the commands, you need use Android Debug Bridge aka adb on your PC/Mac after connecting your Galaxy S10 with USB debugging on. Comment from discussion [account deleted]’s comment from discussion "Want to completely disable/uninstall those pesky bloatware apps that carriers load onto our Android devices? One simple ADB command will take care of it for you on any Android device running 5.0 or higher!". XDA senior member Neo3D created a thread to gather the package names that can be removed from Galaxy S10 without breaking the core functionalities. Allow me to remind you, the famous Galaxy S8 debloat list was also curated by the same person. Although the package names are kinda self-explanatory, reader may take a look at this post for more elaborate description of the apps in the above list and their functionalities. Just debloat what you don’t need. Of course, this is NOT a complete list. Some have reported that Bixby is completely safe to remove, as well as, Pay but I’ll leave that up to the community to discuss. There are some precautions need to be followed before blindly removing the bundled apps. 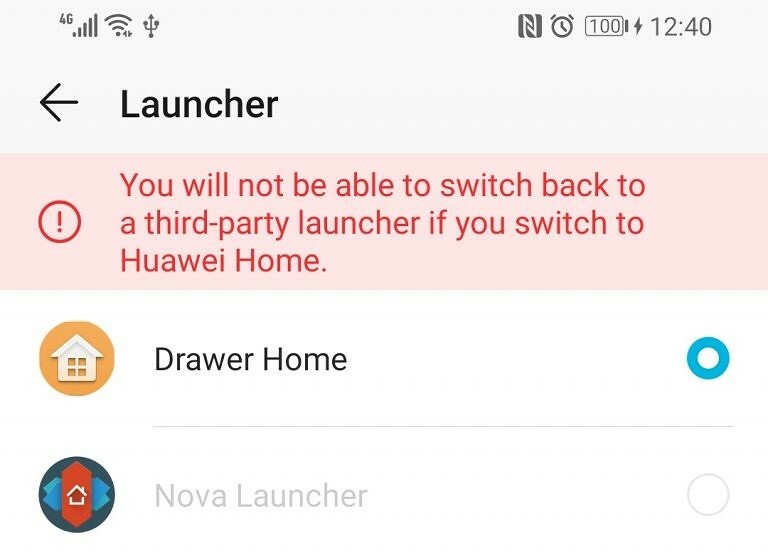 For example, you have to install a third party launcher before disabling/uninstalling the stock Samsung One UI launcher. The best thing about this method is that you will still receive OTA updates as the core system files are actually intact. If you disable a package and like to revert it, you can easily that as well. Do you agree with the list of bloatware apps? Let us know by commenting below. OnePlus News Daily Dose #35: OnePlus 7 purported leak, 3/3T Pie closed beta fiasco, local GC and more!